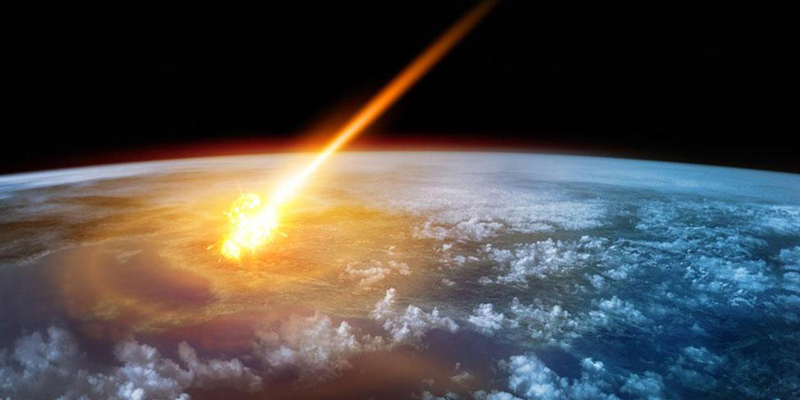 66 million years ago, a massive asteroid crashed the Yucatan Peninsula and killed non-avian dinosaurs alongside almost three-fourths species living on Earth. Recent studies state that activity coming from volcanoes also contributed to the disappearance of many of the species. The land where the volcanism took place, according to the study published in the Geology journal, was the same one now recognized as India. This brutal activity negatively affected the climate back then, and helped the asteroid to generate more chaos. Some arguments revolve around the fact that both territories, the Yucatan Penninsula and India, were far apart from each other. Still, the Indian area is perfect for testing the evidence. They prove the effect volcanism made on the climate, and the incidence of the asteroid as well. The study is called “Deccan Volcanism caused coupled pCO2 and terrestrial temperature rises, and pre-impact extinctions in northern China”. It first evaluates the terrestrial climate documentation, which helps when proving the roles of volcanic activity and the asteroid impact during the Cretaceous-Paleogene mass extinction. The researchers explain that, while the previous information came from marine records, they got this new data from paleosol carbonates’ “clumped isotopes,” along the Songliao Basin – or ancient sediments from the bottom of the lake. The analysis suggests how the climate inside the area of northern China was in the period already mentioned. It shows the rising of the temperature hundreds of years before the asteroid impact. A pre-impact warming due to the early Deccan Traps volcanic activity released enormous amounts of carbon dioxide into the atmosphere. According to the study, the following cooling-and-warming process then took place when the asteroid crashed. This is why the after-volcanism was thought to be caused by the asteroid’s impact. The scientists explain that the levels of pCO2 on the latest Cretaceous cooling process, and its climatic variations in northern China, were the primary key through the Cretaceous-Paleogene boundary interval. Among the volcanic chaos, the lacustrine algae (charophytes) species lost half of its individuals, while the lacustrine ostracodes almost entirely disappeared. 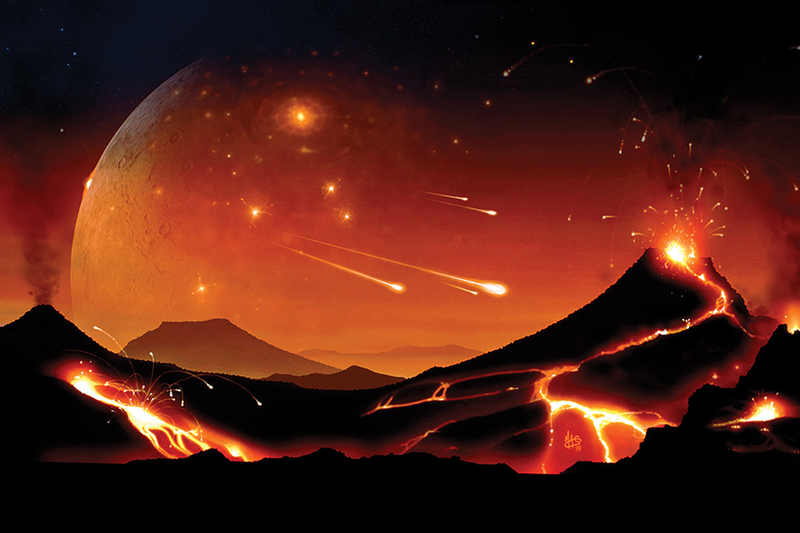 This led the researchers to propose the destabilization of the ecosystem, being caused by the Deccan Traps volcanic activity – which already extinguished some species before the asteroid impact. The crater that the asteroid created in Yucatan, Mexico, released a series of particles that ranged between ridiculous high levels of temperature, causing combustion across the Earth and elevating the overall climate heat. The clouds fulled of these particles blocked the sunlight and cooled down the climate enough to lead those species that couldn’t adapt to die. For many years, the temperatures lowered by at least 45 degrees Fahrenheit (25 degrees Celsius), while several earthquakes with extreme magnitudes were set off as well. The particles contaminated the air and while the volcanic eruptions expelled gases. According to the Wednesday’s Journal Science Advances paper, the eruptions at the oceanic floor that reached the disastrous levels began after the asteroid’s crash. The researchers of this study blamed the eruptions that happened at the sea floor for the increasing acidic levels on the ocean. 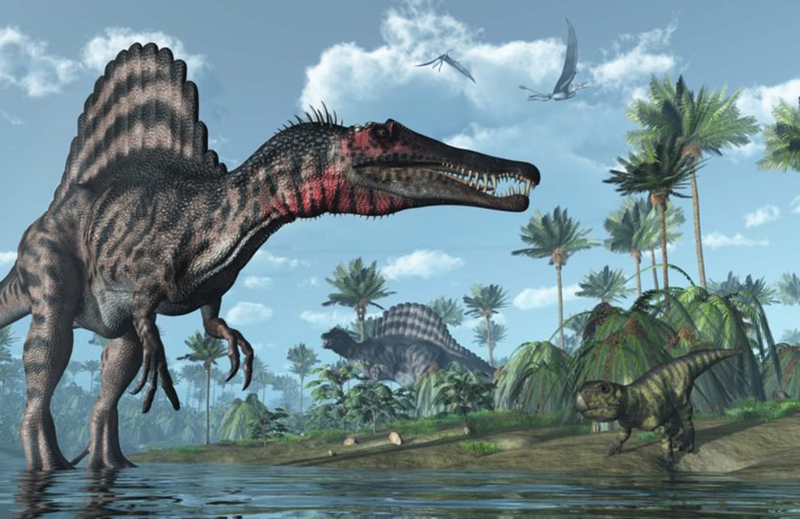 According to many geologists, including the ones who were not part of this investigation, dinosaurs were “unlucky,” and volcanism originated a disaster that drove them and many other species to their ending. This series of unfortunate nature activities drastically changed the temperature several times and kept the species unprotected and unable to adapt to those changes that happened so fast. However, Sean Gulick – a geophysicist from the University of Austin, Texas, that has been studying the crater’s core located in Mexico sees this event from another perspective. He believes that the ecosystems were not affected by the volcanism and that they remained almost intact until the asteroid came around. Gulick states that while a single basin does not equal a global phenomenon, this new research provides evidence of the early climate changes that happened while the Deccan Traps volcanic activity occurred. The geophysicist is waiting for data from other places than China. At Purdue University, Jay Melosh, another physicist member of the drilling project co-led by Gulick, currently works on the early results that could confirm the data obtained from the crater. Melosh, a geophysicist from the same University as Gulick, claims the recent study is only based on a coincidental timing argument, which does not portray the specific physical characteristics of the impact that could have originated the volcanic eruptions.